The Calmia 4 way Pilates stretch band is a very versatile and convenient addition to all gym sessions, with its strong design and the range of drills it lets you perform. 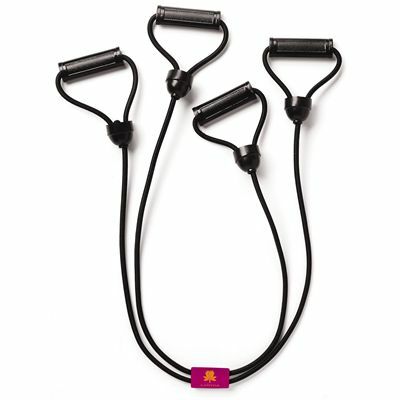 Whether you want to increase strength, flexibility, balance or toning, this piece of gym equipment is an ideal choice. 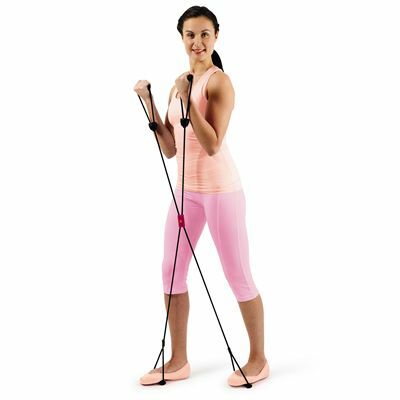 The tension can be adjusted for varying levels of resistance, and a great number of muscles can be worked including core muscles, arms, shoulders, abs, legs and more. The band is soft and has comfortable handles. for submitting product review about Calmia 4 Way Pilates Stretch Band.